Goal: Use a Word Processor to type and format a paragraph. I included four sentences about the animal using the format given by my teacher. I used proper spacing, capital letters and punctuation. I formatted my text - I changed the text size, font color or font style. I drew an image of the animal on a second page. I worked independently most of the time. Task: Type sentences about a citizen’s responsibilities. 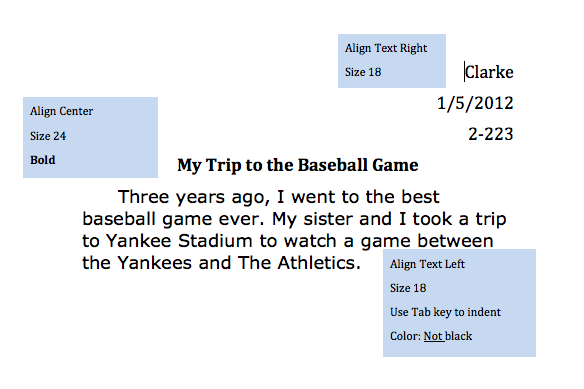 Highlight and change the size and color of text, use proper spacing and the return key. Task: Use Pixie’s tools, such as paintbrush and paint bucket, to trace and color a picture of yourself.